Human cells make up only 43% of the body’s total cell count. The rest are microscopic colonists. Understanding this hidden half of ourselves – our microbiome – is rapidly transforming understanding of diseases from allergy to Parkinson’s. The field is even asking questions of what it means to be “human” and is leading to new innovative treatments as a result. 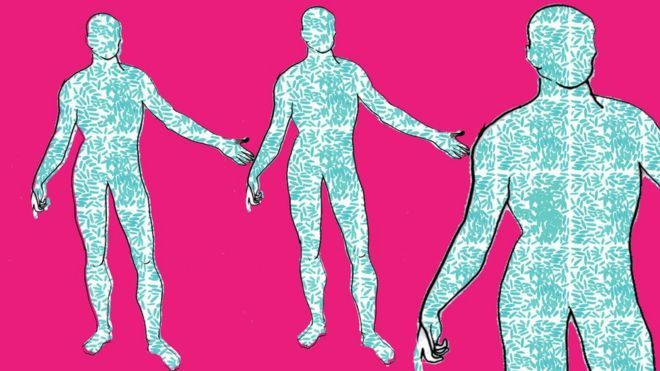 “They are essential to your health,” says Prof Ruth Ley, the director of the department of microbiome science at the Max Planck Institute, “your body isn’t just you”. No matter how well you wash, nearly every nook and cranny of your body is covered in microscopic creatures. This includes bacteria, viruses, fungi and archaea (organisms originally misclassified as bacteria). The greatest concentration of this microscopic life is in the dark murky depths of our oxygen-deprived bowels. Originally it was thought our cells were outnumbered 10 to one. “That’s been refined much closer to one-to-one, so the current estimate is you’re about 43% human if you’re counting up all the cells,” he says. But genetically we’re even more outgunned. The human genome – the full set of genetic instructions for a human being – is made up of 20,000 instructions called genes. But add all the genes in our microbiome together and the figure comes out between two and 20 million microbial genes. Prof Sarkis Mazmanian, a microbiologist from Caltech, argues: “We don’t have just one genome, the genes of our microbiome present essentially a second genome which augment the activity of our own. It would be naive to think we carry around so much microbial material without it interacting or having any effect on our bodies at all. Science is rapidly uncovering the role the microbiome plays in digestion, regulating the immune system, protecting against disease and manufacturing vital vitamins. It is a new way of thinking about the microbial world. To date, our relationship with microbes has largely been one of warfare. Antibiotics and vaccines have been the weapons unleashed against the likes of smallpox, Mycobacterium tuberculosis or MRSA. That’s been a good thing and has saved large numbers of lives. But some researchers are concerned that our assault on the bad guys has done untold damage to our “good bacteria”. Prof Ley told me: “We have over the past 50 years done a terrific job of eliminating infectious disease. “But we have seen an enormous and terrifying increase in autoimmune disease and in allergy. 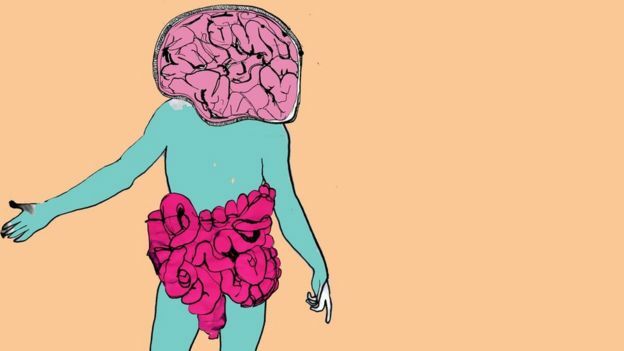 The microbiome is also being linked to diseases including inflammatory bowel disease, Parkinson’s, whether cancer drugs work and even depression and autism. Obesity is another example. Family history and lifestyle choices clearly play a role, but what about your gut microbes? This is where it might get confusing. A diet of burgers and chocolate will affect both your risk of obesity and the type of microbes that grow in your digestive tract. 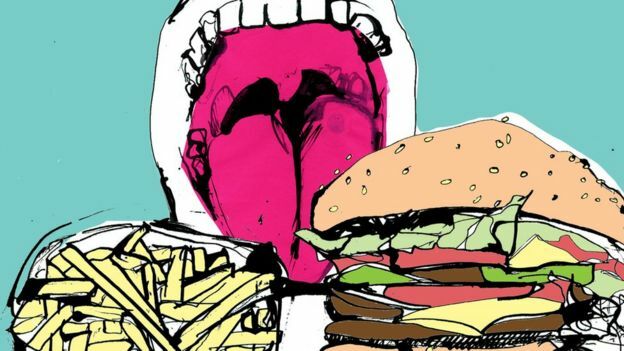 So how do you know if it is a bad mix of bacteria metabolising your food in such a way, that contributes to obesity? Prof Knight has performed experiments on mice that were born in the most sanitised world imaginable. Their entire existence is completely free of microbes. Topping up obese with lean bacteria also helped the mice lose weight. This is the big hope for the field, that microbes could be a new form of medicine. It is known as using “bugs as drugs”. I met Dr Trevor Lawley at the Wellcome Trust Sanger Institute, where he is trying to grow the whole microbiome from healthy patients and those who are ill.
Dr Lawley says there’s growing evidence that repairing someone’s microbiome “can actually lead to remission” in diseases such as ulcerative colitis, a type of inflammatory bowel disease. Microbial medicine is in its early stages, but some researchers think that monitoring our microbiome will soon become a daily event that provides a brown goldmine of information about our health. Prof Knight said: “It’s incredible to think each teaspoon of your stool contains more data in the DNA of those microbes than it would take literally a tonne of DVDs to store. “At the moment every time you’re taking one of those data dumps as it were, you’re just flushing that information away. “Part of our vision is, in the not too distant future, where as soon as you flush it’ll do some kind of instant read-out and tells you are you going in a good direction or a bad direction. This entry was posted in Health, World by rolyred. Bookmark the permalink.